← September 11 – Where were you? 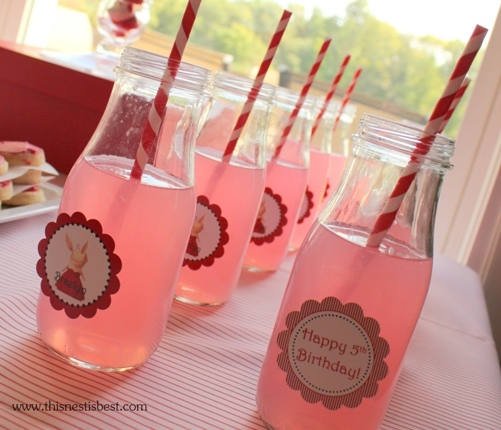 I am so excited to share this birthday party with you! The five-year-old birthday girl, Braelyn, requested an “Olivia the Pig Princess” birthday theme from her mom months and months ago. If you aren’t familiar with the character, Olivia the Pig is the main character of a book series created by Ian Falconer. She now also has her own show on Nick, Jr. Olivia is very creative, imaginative and full of energy! Through her wild imagination, Olivia plays many roles, with the “Princess” being our birthday girl’s favorite. So, I set out to create a red (Olivia’s signature color!) and white party with plenty of princess touches. 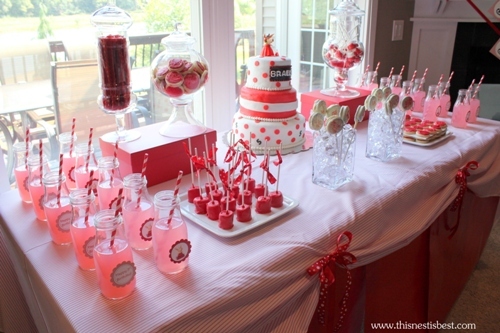 As for focal point of the party, the dessert bar really had to impress! I tried my hand at Martha Stewart’s Pom tutorial for the first time and was quite happy with how they turned out! They added a lot of color to the living room and guests could see them as soon as they walked in the door. The red and white striped fabric was a Mr. Lemon find in the bargain section of JoAnn’s Fabric (yes, Mr. Lemon comes party shopping with me on occasion!). I always check the clearance fabric section at JoAnn’s, particularly the weeks that they give an additional 50% off the already reduced prices. And the red “fabric” under the striped fabric is actually red wrapping paper! 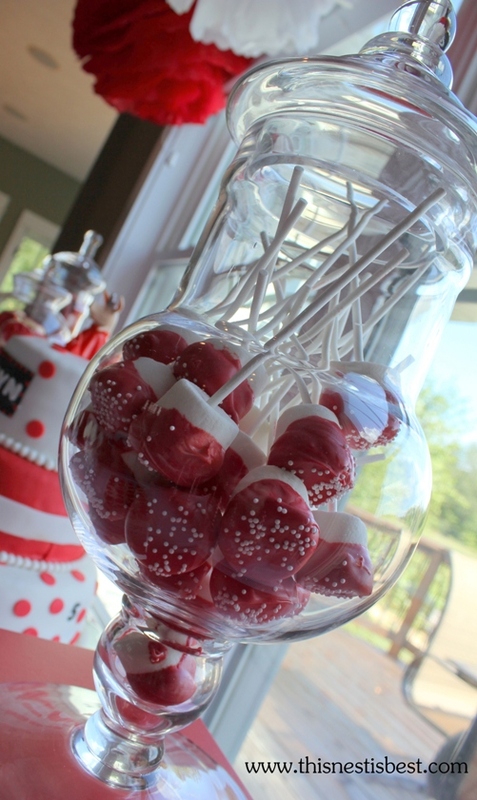 On the dessert table, we served candy dipped marshmallow pops and chocolate covered Oreo cookie pops, red licorice, Braelyn’s mom’s (amazing!) 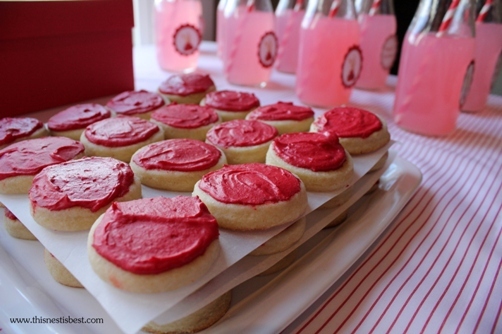 signature sugar cookies, and a beautiful cake brought in by Sweetness by Erin! 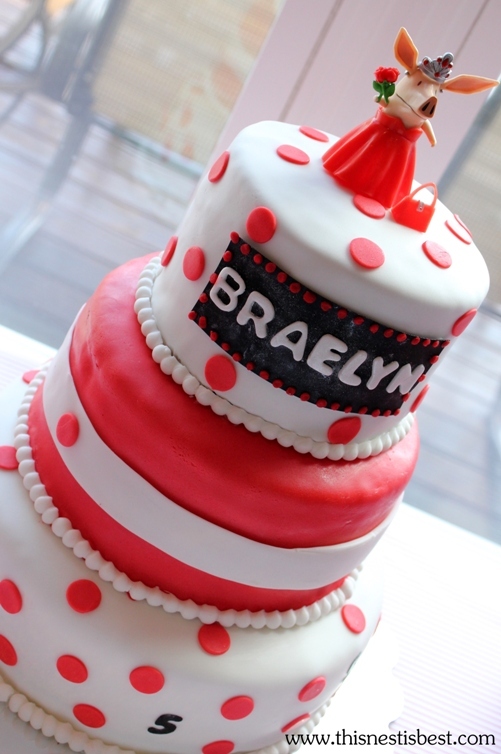 The cake topper is an Olivia the Pig figurine that Braelyn had been wanting for a birthday gift – perfect! 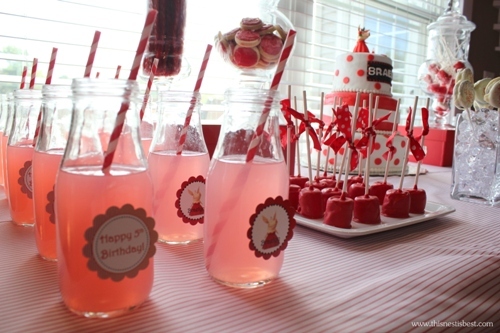 For drinks, we served pink lemonade with stripey straws from Hey Yo Yo. Tomorrow I’ll show photos of the activities and decor, so make sure to come back! 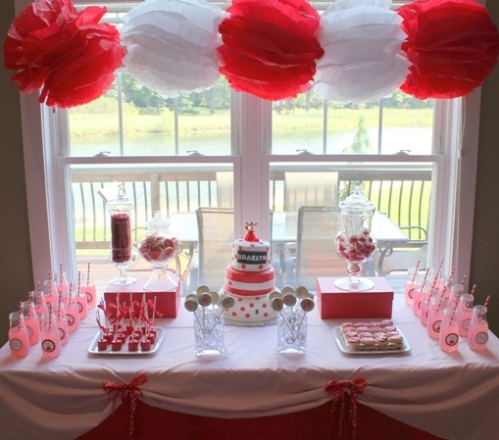 This entry was posted in Event Portfolio and tagged dessert bar, red, white. Bookmark the permalink. Very fun! What little girl wouldn’t like to walk in on “that” party? Can’t wait to see the pics from Heidi’s surprise 40th! What a gorgeous party! I have to stop reading this blog. It makes me hungry. LOL – Mr. Lemon loves eating the mistakes! Great work Rebecca, very impressive!!! Thanks Heather! I heard you had a birthday on the same date, hope your’s went well also! Oh wow! Best birthday party ever! 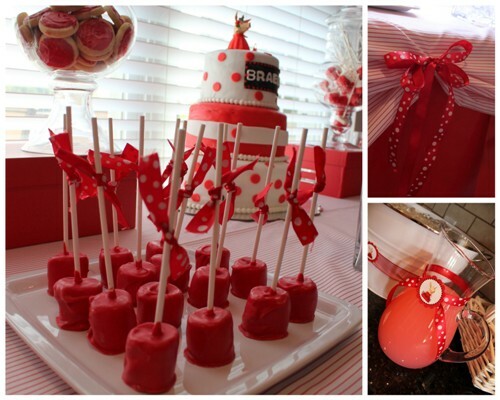 Gorgeous party!! I have ordered many cakes from Sweetness by Erin we love her! Hi where did you get the clear milk glass from? That was a really nice party. Thank you! The milk glasses are upcycled Starbucks Frappuccino bottles! I LOVE, LOVE, LOVE your ideas!! Where o’ where can I get them?? Where did purchase the milk glasses? 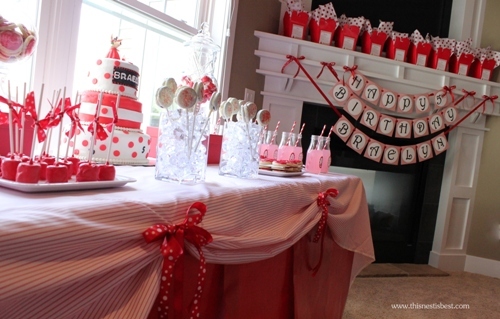 my daughter’s name is Olivia and this is her first birthday theme. btw very nice party! They are actually up-cycled Starbucks Frappuccino bottles! And thank you!